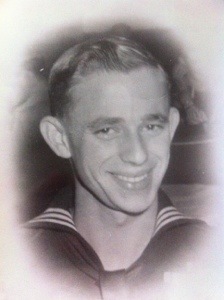 On Veteran’s Day I always remember my grandfather, Henry, or Hank as very few called him, who fought in the Navy in WWII. He joined before he turned sixteen years old and he needed his mother’s permission to both drop out of high school and join the navy – she signed all the necessary forms. This is the grandfather I often fondly write about when I write share childhood memories of food. This is the my grandfather who today we’d call a “foodie.” Henry would take me to try new restaurants with him and to his favorite food spots. He loved the Windmill, Cricket’s (which used to exist near Short Beach in Stratford), and Vinnie’s Pizza, to name a few. We shared a love of pizza and I still eat at some of his favorite local “pizza places.” Henry would sit and eat a box of samoas with me during girl scout cookie season – no one else liked them in our family but him and me. And my earliest memory, from a little before I turned three, is having an ice cream cone with him and my grandmother. On this day, I remember my gramps and send thanks to him and all the other veterans who have served and continue to serve our great country. This is one of my favorite photos of him. 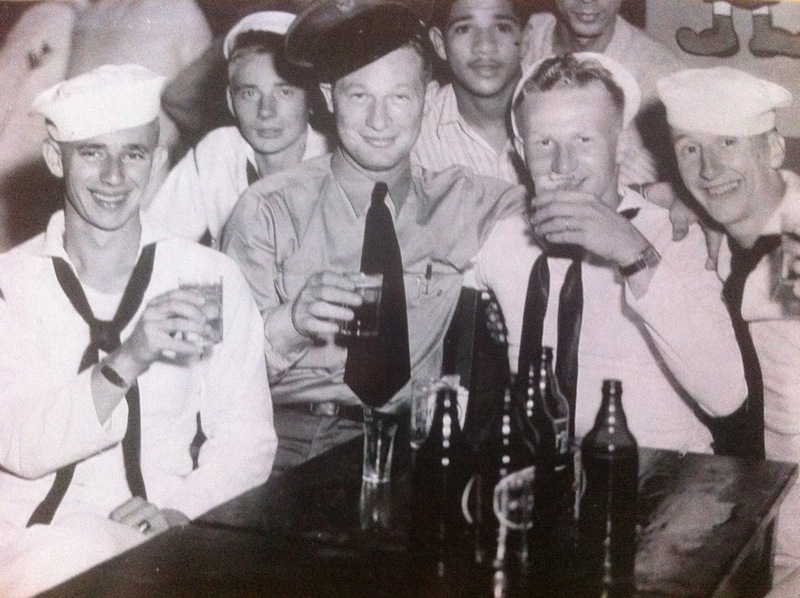 He’s on the far left in this photo, enjoying a drink with his buddies. Here’s to mud in your eye, Gramps!